Keep things simple! With our various payment options, you have the power to choose what’s ideal for your needs. Pay your bills with ease online! Now, all it takes to manage your home’s power is a quick trip on the web. Beat your deadlines to the punch! With an automated setup, you’ve got one less thing to worry about and more time to spare. Discover alternative modes of payment! From phone banking to ATMs, and even at Bayad Centers, we’re giving you options to explore. Settle your bills at any business center, Bayad Center, or accredited bank partner! We’re bringing our service closer to you, everyday. Enroll your account to view your bills online anytime, anywhere! You get easy access, instant results, and you save on paper, too. 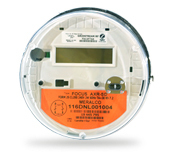 Here’s everything you need to know about your usage, why meter readings are important, and more. All these could give you insights about your household’s monthly consumption. Learn about this advance payment! Did you know that it will be refunded should you gain a good credit standing via credit or actual cash? Get familiar with the Incremental Currency Exchange Rate Adjustment refund on your bill! It reflects costs affected by the global market. Understand the basics of the ACRM or “Automatic Cost Recovery Mechanism” charge on your bill! Consumers nationwide are eligible for it.